Book Launch in Seattle, OCT 8! Signing in Bellingham, Oct 26! 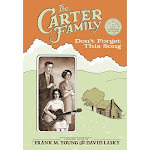 Starting today, Frank and I will be posting one page a day from the longest chapter in the book, "The Storms Are on the Ocean," in which the Carter Family travels to Bristol (on the VA/TN border) to record their music for the first time. This is our way of counting down to early October and the release of the book. 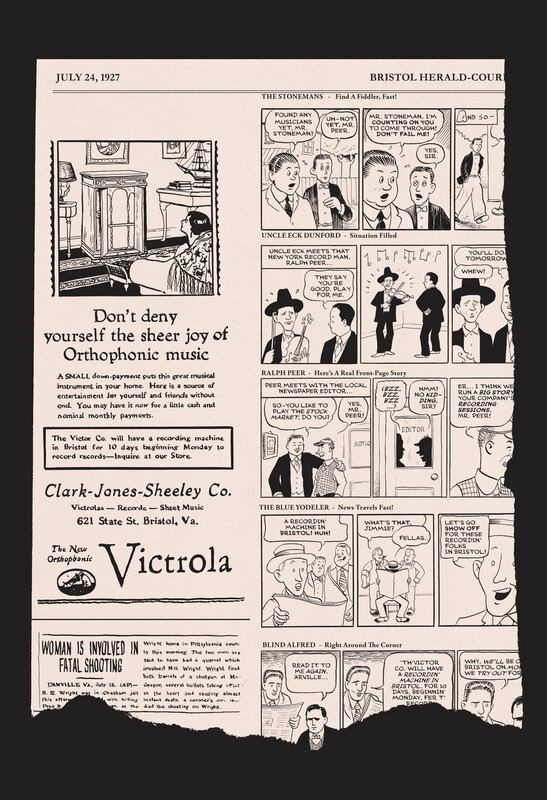 In this opening page, we see (my drawing of) the actual newspaper ad that was used to alert musicians in the Bristol area of the recording sessions that were being done by Victor. These sessions would later be called "The Big Bang of Country Music." 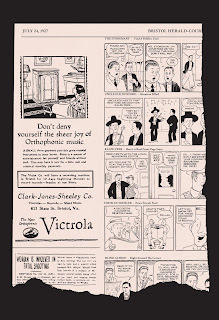 Click here for a much larger version of the page.